The city is currently revising its urban Master Plan, which aims to make Bilbao i) an example for other cities around the world; ii) a city in continuous renewal; iii) a sustainable city; and iv) a socially balanced city. 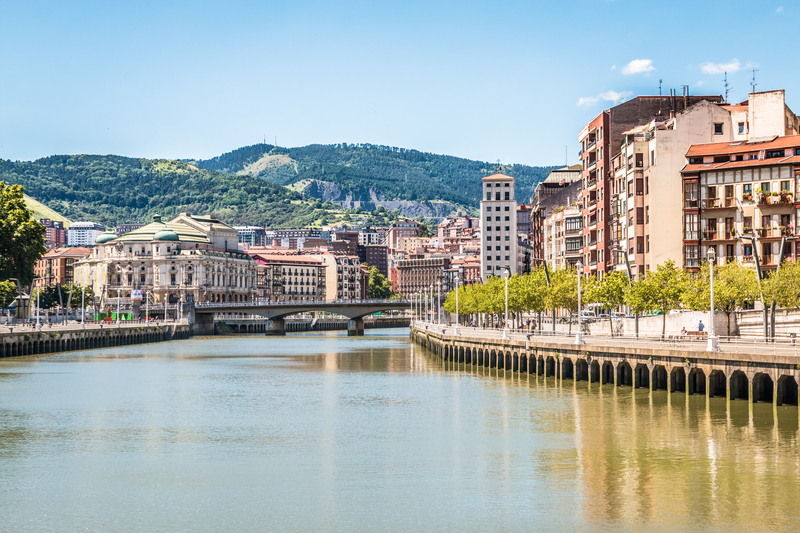 Extreme climate events in the recent – and not-so recent – past have shown that Bilbao is more vulnerable than most other cities. This realisation prompted scientific research into how the city could plan for sustainable development and prepare itself for further climate-change risks. This resulted in the city authorities drawing up a list of the following priorities for Bilbao: an energy-efficiency policy; sustainable mobility; reducing resource consumption and waste generation; smart and creative urban planning; and a strategy for adapting to climate change. NBS could play a role in this plan by helping to make Bilbao more resilient towards cold spells, heat waves, and frequent floods. NBS1 - Zorrotzaurre project - The Zorrotzaurre project is an urban renewal project to promote the sustainable restoration of a currently derelict site in the Zorrotzaurre peninsula, northwest of the city centre. The plan is to create a new quarter that is well-connected to the rest of the city, with affordable housing, environmentally-friendly business areas, social and cultural facilities, and spacious green areas for recreation. The Master Plan was designed by the architect Zaha Hadid, and includes the conversion of the current Zorrotzaurre peninsula into an island by opening up the Deusto Canal. The plan foresees a total surface of 673 000 m2 and includes flood prevention measures, a transport network, and restoration of the area's cultural heritage. NBS2 – Bilbao Greenbelt Expansion - The Bilbao Greenbelt project aims to expand and connect the city's green areas. It has already led to 1 million extra square metres of green areas in Bilbao in the last 10 years. The project aims to create a network linking the peripheral green belt with urban parks and other green areas inside the city. Local authorities clearly understand that NBS projects have multiple benefits. This is evident in Bilbao's upcoming Master Plan, which strongly promotes NBS as a means of achieving the city's four main objectives. Having a local project partner contact made the relationship between the RAMSES FP7 project and the local authority much easier. Bilbao's history of successfully managing severe crises with commitment and creativity has helped it to adopt innovative measures.